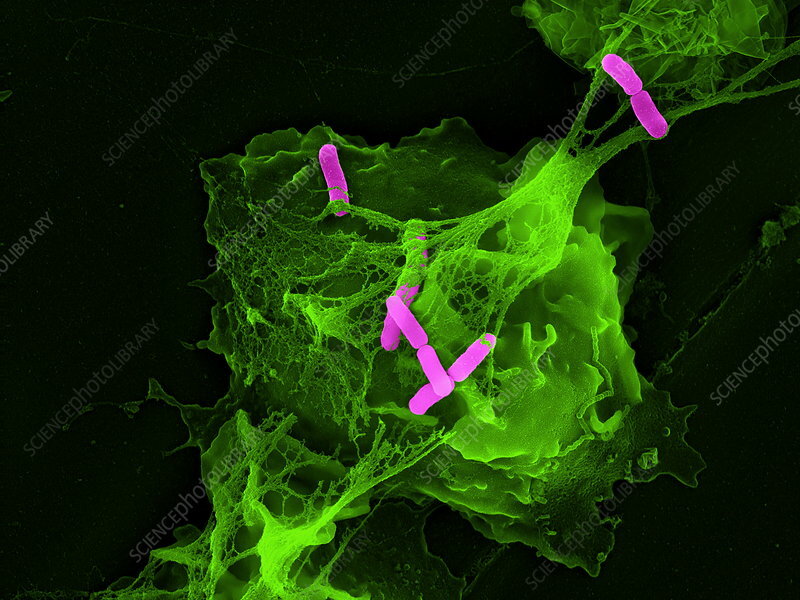 Neutrophil cell trapping bacteria. Coloured scanning electron micrograph (SEM) of bacteria (rod-shaped) being trapped by a neutrophil cell. The neutrophil cell (a type of white blood cell) has trapped the bacteria with extruded material that forms a net-like structure called a NET (neutrophil extracellular trap). This method of cellular defence was first discovered in 2004. These are Shigella sp. bacteria, one of the causes of dysentery, a severe intestinal inflammation.